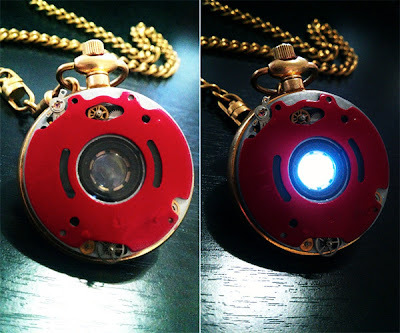 This smashing steampunk Iron Man pocket watch design is by Adi Simon. I love the little gaps in the casing showing off various gears, and of course that glowing heart. The jewel of a steampunk sophisticate's fashion ensemble.